Lighter, cooler – and even greater protection! What sounds like a real innovation in the helmet industry is in fact a revolution! It is based on the simple and ground-breaking Koroyd® technology, which is employed for the first time ever in the “F5 KOROYD” by KLIM. Over the last few decades, higher safety standards have become the norm in practically all areas of life. 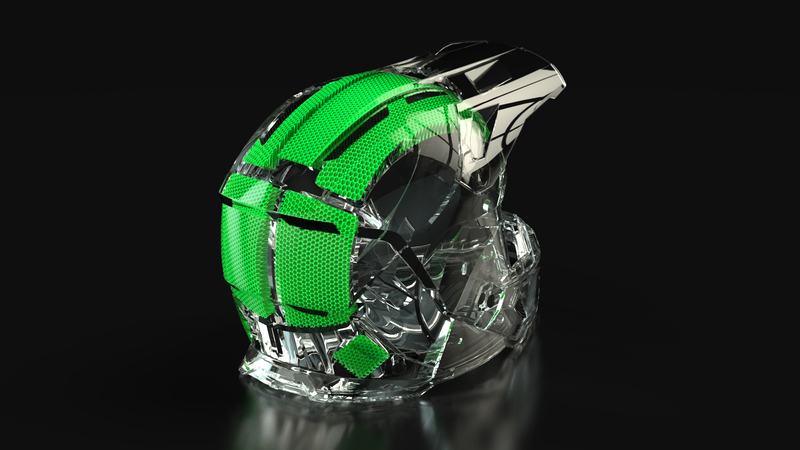 Only helmet technology – with the exception of innovations to reduce angular acceleration – has been at a virtual standstill for the past 30 years. Yet, with the rapid development in motorbike technology, the risk of suffering a skull fracture or traumatic brain injury has risen far above the acceptable limits. Developed for aeronautics, perfected for your protection! Koroyd® is an energy-absorbing technology with a unique tubular structure. Scientific studies prove that tubes are the most effective shape for absorbing energy. The controlled deformation that happens when a tube is homogeneously compressed offers the greatest possible damping capacity. A fact the aircraft construction industry has taken advantage of for decades. Always striving to integrate technological advances into their own products, KLIM are the worldwide first motorcycle helmet manufacturers making use of this extraordinary technology by partially fitting the inner shell of the helmet with Koroyd® material. Countless co-polymer tubes are thermally fused to form a honeycomb structure. This construction can then be cut and shaped and offers superb impact absorption as well as great cooling due to the next to unrestricted airflow. In a collision, it is the entire honeycomb structure that deforms first. In case of a massive impact, the tubes are also compressed lengthwise, significantly increasing the protective effect. The 3 main advantages of the Koroyd® technology! LIGHTER: Due to the unique, hollow structure of Koroyd®, it is noticeably lighter than comparable EPS material. COOLER: Thanks to the tubular structure in connection with the sophisticated ventilation system of the F5 KOROYD, heat and moisture escape practically unhampered. IMPROVED PROTECTION: Koroyd® is a first-rate energy absorber – thanks to its innovative energy management, the risk of injury is markedly reduced. With the latest generation of F5 KOROYD helmets, KLIM is taking a pioneering step towards more safety. In addition to the first-ever use of Koroyd® in a motorcycle helmet, the new F5 KOROYD also contains MIPS®. 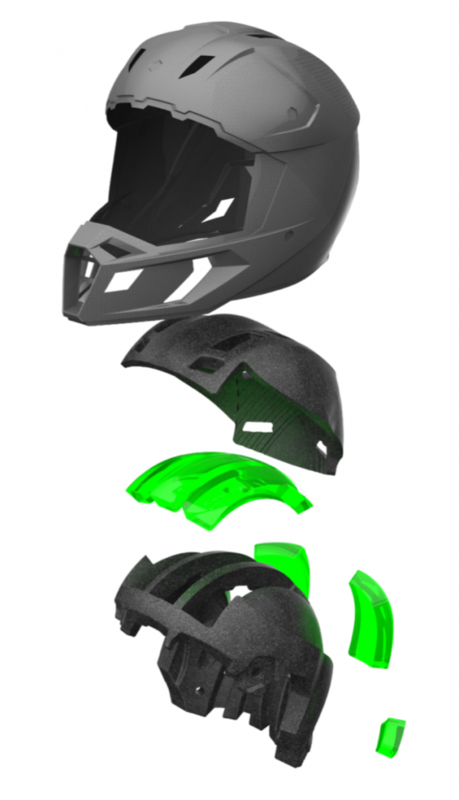 The MIPS® technology involves a freely moving layer placed between the head and the inner shell of the helmet and serves to reduce dangerous rotational acceleration, a main cause of brain injuries in crashes. The helmet is available in 2 attractive designs (chasm orange, abyss matte black) in available sizes SM bi 3XL for the suggested retail price of 658,00 €.